Wilhelmus a’ Brakel explains the Scripturalness of Infant Baptism, and the subjects of baptism in general. He gives a helpful paragraph on what baptism is all about based on his systematic work on the subject. Be sure to read his first paragraph thoroughly. We have thus held before you baptism and its essential nature. It is evident that baptism is the first New Testament sacrament, a sign and seal of the covenant of grace, instituted by God, and its admini­stration commanded by the Lord Jesus to His apostles—and in them to all ministers. This administration consists in the act of immersion or sprinkling with clean water in the name of the Father, and of the Son, and of the Holy Ghost, thereby signifying and sealing to believers the cleansing of the soul from the guilt and pollution of sin by the blood and the Spirit of Christ, as well as the incorporation into the congregation of Christ so that through faith, love, and holiness, they may glorify God, be an ornament to the church, convict the unconverted, and stir up believers. “…if thou believest with all thine heart, thou mayest” (Acts 8:37). If someone has therefore entered into the covenant— whether it be in truth or in an external sense— and has been baptized, they are also obligated to surrender their children to Christ by way of the covenant and thus permit them to be baptized, as the covenant has also been made with their children. Before we prove this, we must, for a further exposition of infant baptism, make a few prefatory remarks. First, children to be baptized must 1) not be children of Jews, Muslims, heathens, or heretics, even if a member of the covenant has adopted them as children, for such adoption does not change the fact that they were not born within the covenant; 2) not be abandoned children in a country where the true church is not found, or if the true church is present, is filled with Jews, Muslims, heathens, Socinians, and other heretics, for such children can belong to the latter as well as to members of the covenant; 3) not be children of parents who have both been excommunicated— having been born subsequent to this excommunication— since such parents must be considered as heathens (Mat. 18:17); and 4) not be children who as yet are unborn, or who are miscarried— as the Papists do. 2) they may also be children of members of the covenant who are born as a result of adultery; or 3) children of those who are under censure, for the son shall not bear the iniquity of the father. Secondly, the place where children ought to be baptized has not been determined by Scripture and does not belong to the essence of baptism. However, where the church conducts public worship services, it is edifying that it take place during a worship service. Thirdly, subsequent to the breaking of the covenant of works, God established a covenant of grace with man. Never, that is, neither in the Old nor in the New Testament has He established an external covenant wherein both converted and unconverted alike would be members on equal footing, such that God, upon external obedience, would have promised some external benefits, regardless of what name may be given to this covenant, such as a national, typical, worldly, or external covenant. One may therefore not baptize children in reference to an external covenant, but only in reference to the covenant of grace. Fourthly, one can view elect children either as they are from God’s perspective, or as they are in themselves. God knows them as being elect, as heirs of eternal life, and as being redeemed through the death of their Surety, Jesus Christ. As they are in themselves, they are identical to all other children, missing the image of God, having the image of the devil, without the seed of faith, without regeneration and the least gracious inclination, with­out the indwelling of the Holy Spirit, and thus, hateful and worthy of condemnation. Therefore, the basis for their baptism is neither^ a measure of grace which they have within themselves, nor eternal I election, which is hidden for us. Fifthly, God could either partially or fully sanctify children from infancy on. All children would have entered the world as being perfectly holy if Adam had not sinned. This was the condition in which Christ was born (being perfectly holy), and in which elect infants are, who at their death are sanctified as perfectly as an adult believer is sanctified. God generally does not do this, however. Even if He does so with certain persons by way of exception, it is neither a precedent nor clear proof of this. Therefore, we state again that the basis for the baptism of children is not some inherent quality. Sixthly, baptism is a sign and a seal, and thus has no other function but a signifying and sealing function. It neither works grace by way of inherent efficacy, nor is it an external sign whereby, whereupon, or wherewith God works regeneration. It is not comparable to what Christ did to make the miracle very obvious, availing Himself of something tangible in the performance of His miracles; nor is it comparable to the extraordinary gifts of the Spirit being communi­cated by the laying on of hands. Thus, the gracious operations of the Spirit are not bound to the time or the administration of baptism. Baptism also does not bring the child into an internal state other than was previously the case, and God does not love the child with the love of His delight any more than before. Rather, the entire efficacy of baptism consists in this— that it seals the covenant of grace and all its promises to the child. This is not to suggest that the child has / them already, but rather that the child is entitled to them and that God will accomplish this in this child. It is thus similar to the manner in which future benefits are sealed to adult believers. 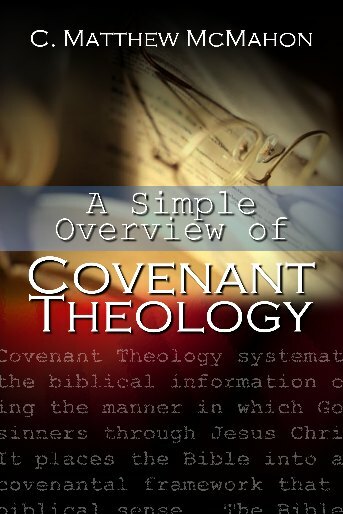 Seventhly, all children of members of the covenant (irrespective of whether these members are converted or unconverted) who die in infancy—be it prior to or after the administration of baptism — must be considered as saved by virtue of God’s covenant in which they were born and in consequence of which they are children of the covenant. If the parents are unconverted and unfaithful to the covenant, this will be imputed to their account, for the son will not bear the iniquity of the father. One must also consider them to be true partakers and children of the covenant as they grow older, until they show by their deeds that they are unfaithful to the covenant and thus are no partakers of its prom­ises. They then do not fall out of grace, nor is the seal nullified; rather, it is a proof that baptism was not a seal for them and that they have never truly been in the covenant. When, however, some are converted after leading a sinful life, baptism was a seal unto them, and they were thus truly included in the covenant and in very deed are partakers of its benefits, being entitled to them already since their childhood. This is true, even though between their baptism and conversion there was but an external resemblance to members of the covenant— in reference to both their personal spiritual state and sound judgment of others. Baptism only seals the elect. (1) This form addresses members of the covenant and speaks of their children. (2) To be sanctified does not imply that the children at that moment are in truth possessors of the principle of faith, regeneration, and sanctification. It also does not imply that all baptized children are, and particularly, that my child is elect, will be converted, and be a partaker of salvation. Rather, it means in a general sense that chil­dren of members of the covenant, by virtue of the covenant made with them and their children, are entitled to its benefits and will become partakers of them. This is in distinction to the children of those who are not members of the covenant and for whom there are no promises in the Word. The salvation of the latter, if they die in infancy, is a matter which pertains to the sovereign and secret dealings of God, there being no foundation in regard to which something can be stated about them. And as long as children of members of the covenant manifest nothing which is either in their favor or disfavor, we may not discriminate among them, but by reason of the promise must deem them to be children of God until the contrary manifests itself. Therefore, to be sanctified in Christ means to be a partaker of Christ. (3) To be sanctified does not mean to be included in an external covenant, for there is no external covenant. The parents have the \ salvation of their child in view, and not something of an external) nature. The sacraments are not seals of an external covenant, but only of the covenant of grace, and signs and seals of the righteous- J ness of faith. Also the child is acknowledged as being sanctified in Christ, which cannot be said in reference to an external covenant. It is furthermore acknowledged that the child is sanctified prior to baptism, and therefore ought to be baptized. The child therefore does not become a member of the covenant by virtue of baptism; he was already a member prior to baptism, and prior to the child’s baptism there was also no other covenant but the covenant of grace. (4) Some wish to change the form and say, “to be sanctified in Christ, or those who are sanctified, must be sanctified in Christ.” This is the result of ignorance and misunderstanding concerning this matter. 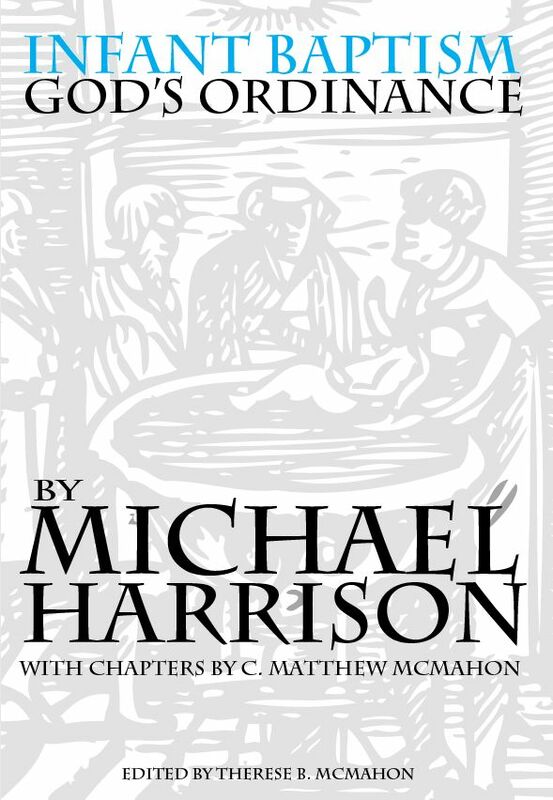 If they wish these words to mean something different than to be in the covenant of grace (which appears to be the intent), I cannot understand on what basis they let their children or other children be baptized, since there is no other foundation for bap­tism but the covenant of grace, of which baptism is a seal. Question: May and must children of members of the covenant be baptized? (1) Since there is one and the same covenant in both testaments, and this identical covenant also pertains to the children of the Old Testament who were obligated to receive the seal of circumcision, this is also true in the New Testament and they must therefore be baptized. (2) Baptism has come in the place of circumcision; the external sign has changed, but the seal is the same. “In whom also ye are circumcised… buried with Him in baptism” (Col. 2:11-13). He who is baptized is said to be circumcised, since they are in essence one and the same sacrament. (3) In both sacraments the same matter is signified and the purpose is identical: cleansing by the blood and the Spirit of Christ. If children had to be circumcised then, they must also be baptized today. Secondly, children were baptized in the Old Testament. “…that all our fathers were under the cloud, and all passed through the sea; and were all baptized unto Moses in the cloud and in the sea” (1 Cor. 10:1-2). It is irrefutable that all their children were included here (Exo. 10:24). In a manner comparable to being baptized by immersion in water, they were all in the sea, and the water in the cloud which was always above them, covered them. This baptism was a seal of their spiritual deliverance, having escaped from the hands of Pharaoh by the water of the sea. They were overshadowed by the cloud— and thus protected against the heat of the sun and the Lord Jesus was present in this cloud (Exo. 14:24). If children were then baptized as members of the covenant, they must also presently be baptized, for they are as much members of the covenant now as they were then. Fourthly, children are partakers of the benefits of the covenant, the merits of Christ, the promises, and salvation itself. “But Jesus said. Suffer little children, and forbid them not, to come unto Me: for of such is the kingdom of heaven” (Mat. 19:14). These were not children in the spiritual sense of the word, characterized by humil­ity, but rather natural children who were brought to Jesus, and who were kept away from Him by others, since they were deemed to be too unimportant. The Lord Jesus declares them to be partak­ers of the kingdom of heaven, of which one cannot be a partaker except through Christ. Who then would dare to exclude those children from heaven who die in infancy? Consider also Acts 2:39, where we read that the promise is to your children. Those who are partakers of the promises of the covenant are also entitled to the seal of the covenant and its promises. Objection #1: Nowhere is a command found to baptize children. (1) Scripture has been given to rational people who know that all must be understood to be members of the covenant who are in the covenant— whether this is the husband, the wife, or the children. (2) It also is not written: Baptize a man, or baptize a woman, nor are they mentioned by first and last name. Objection #2: Children cannot benefit from this; they do not understand it, and they frequently cry when they are baptized. (1) One must not be wiser than God who has thus commanded it. (2) Any additional objections would also be applicable to the circumcision of children. (3) The parents are comforted by baptism. It obligates and stimulates them to view their children as members of the covenant and to raise them as such. And when children come to the years of discretion, they may derive as much benefit from it as persons who are baptized as adults. Objection #3: Christ was not baptized until he was thirty years old; we must therefore also wait with baptism until children come to the years of discretion. (1) We would have to conclude from this that one cannot be baptized before thirty years of age. This is refuted by their own practice. (2) The institution of baptism was not until that time. (3) Christ had been circumcised in His youth. Objection #4: One ought first to be instructed, repent, and believe before being permitted to be baptized (cf. Mat. 28:19; Acts 2:38; 8:37-38; Mark 16:16). (1) It is also written, “…if any would not work, neither^ should he eat” (2 Th. 3:10). Should we then deprive children of food? ) Who does not see that in both cases the reference is to adults? (2) We may not baptize any children except those of members of the covenant. Therefore, parents must first become members of the covenant, and as far as they are concerned, instruction, repen­tance, and faith must precede. These texts therefore do not run counter to the baptism of children of members of the covenant.